This weekend, the film adaptation of my favorite John Green novel is being released. In light of this, I’d like to pause my usual On the Shelf book reviews in order to talk about why this story is important–not just to me, but to culture in general. As far as plots go, Paper Towns isn’t anything special. Q, the hero of the book, fits the average, nice guy mold to a tee. He drives his mom’s minivan, hangs out with the band kids, and hates the whole idea of prom. He actually tries (to an extent) in school, never breaks rules, and is secretly in love with the girl next door. Then, one night, Margo Roth Spiegelman (the beautiful, mysterious girl Q loves) shows up at his window and takes him on the all-night, prank filled adventure of his dreams. When the wonderful miracle that is Margo disappears, of course Q feels compelled to rescue her. In addition to idealizing women, culture has messages for men as well. You see, we live in a culture that is obsessed with guys “getting the girl”. Don’t believe me? Go pick up any chick flick released in the past thirty years. You’ll see what I’m talking about. So many movies and books teach men that they can get the girl if they just try hard enough. Although this story line leads to some adorable, enjoyable, films, it also introduces rhetoric that is alarming. It implies that nice guys get girls. Which isn’t always the case. Messages like these are powerful. They have consequences. In 2014, Elliot Rodger went on a killing spree on his college campus to enact revenge against all women. His logic? Watch the video he made before committing his murders. It’s bone-chillingly familiar. The story has been told before. Average boy (Q) loves unattainable, idealized girl next door (Margo). Idealized girl disappears and average boy feels the need to rescue her. They fall in love, ride into the sunset, and live happily ever after. This is where Green turns the tables. This is where things get good. What if Margo is aware that everyone around her idealizes her? What if she would rather disappear completely than continue living on her pedestal? What if Q goes on a quest to save her but, instead of saving her, discovers that he never actually knew her in the first place? The story’s main message is pounded into Q’s head through retracing Margo’s steps and closely analyzing Walt Whitman’s poem “Song of Myself”. In order to find Margo, Q must put himself in her shoes, to see the world as she does. In the process, he learns that he knows nothing. Yes. The fundamental mistake I had always made—and that she had, in fairness, always led me to make—was this: Margo was not a miracle. She was not an adventure. She was not a fine and precious thing. She was a girl. This is why I love Paper Towns. Green spoon feeds us the expected “boy gets girl” story only to turn the tables. The story isn’t about finding Margo. It’s about taking Margo off the pedestal and restoring her humanity. It’s about stripping away the ideal and acknowledging that people, even beautiful ones, are cracked, flawed, and messed up. In the end, the story presents us with the challenge of seeing people as they really are. To finish it all off, I’m really looking forward to seeing the movie adaptation. I know it won’t be exactly like the book, but I’m okay with that. I’ve been assured by John Green (via Vlogbrothers videos) that it stays true to the message of the book–a message that I believe is powerful and relevant. P.S. Much of this post was influenced by the Courtly Love literature class I took this past Spring. A huge thank you to my professor for giving me insight into the importance of these messages and the way they affect society. By two o’clock today, I had gone to church, worked out, and finished all my weekend homework. All my friends were busy, and I was left with an entire afternoon with nothing to do. I’m an introvert, but too much time alone in my room makes me lonely. It’s like my heart feels heavy and empty and no amount of Netflix can make it better. Knowing I had hours ahead of me in my own company, I didn’t want to waste the day moping around. So I took action by taking myself on a date. It was a wonderful afternoon. I sang to the radio during the hour drive to and from Alexandria. I talked to my mom on the phone. I went to see Cinderella a second time and loved it just as much as the first. (Be sure to check out my post about it!) I went out to eat and spent dinner with my favorite John Green novel. 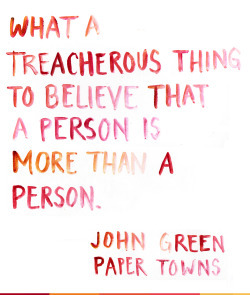 (Which, in case you were wondering, is Paper Towns.) I meandered through Target, sighing over pretty clothes and household decorations. I purchased a new purse and the final Hobbit movie. (Be sure to check out my post about that one too!). On the drive home, I spent a great deal of time meditating on the nostalgia that comes with the end of a season in life. With only a handful of weeks left of college, there are so many aspects of life here that I’ve taken for granted. As I approached Morris, instead of heading to campus, I drove to the overlook just outside of town. Perched on a rock, I watched the sun set over the tiny town I’ve called home these past few years. It was such a beautiful, peaceful moment– one that I know I’ll hold in my heart for a long time. Afternoons like this one remind me that incredible joy can be found in little things. It felt so good to forget the stresses of college, to drive away, and do things just for the sake of doing them. I think that it’s important to learn to date yourself. You can have a lot of fun and learn a great deal in your own company. Driving home to Morris in the sunset.